Are you getting ready for a big move and just don’t want to deal with the effort? If you have ever moved before you understand that the excitement quickly wears off as the manual labor increases. 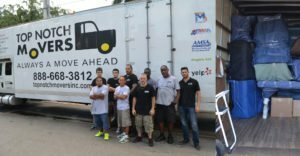 Less is it about remembering the good times and more is it about clarifying that “you need the box to your left not my left!” If any of these experiences are ringing a bell, it might be time for your to find some local Fort Lauderdale movers. License and Insured Service – When you are choosing your local movers in Fort Lauderdale, make sure that the company is both licensed and insured. This is important because if one of your possessions were to break during the move, you might not get compensated for any damages. When you are looking to lower the costs of your moving services as well as ensure you can move into your new house faster and easier, then you will need to follow these steps to ensure we move as quickly as possible. You want to pre-pack and isolate your belongings. The more you can pack your belongings, the easier it will be to have us run through your belongings and safely store them in the truck. After you pack the belongings, you will want to isolate the items. Separate based on where they will go in the house as well as what is important and what isn’t. Additionally, you should separate anything that could be responsible or fragile. If you have a beloved set of dishes and perishables, chances are you should keep them with you during the move to not risk incurring fees for moving insurance. Once you’ve packed and isolated all of your belongings, you need to clear a path of movement. 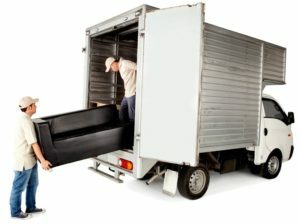 Any hinderance that gets in the way of the movers will be something that slows them down. The closer you can get the things that are going on the truck to the door the better. You want to make it as easy and quick as possible for them to transport your belongings. Finally, you should be coordinating with your moving service. Outline where things should be going, when you plan to break and if you are riding with them or moving ahead. More often than not, you can completely separate from your moving company and move to the house to clear the new place up as fast as possible. If you follow these steps, you are looking at a successful move. Top Notch Movers is a professional and experienced local moving company, and we have your back. As local Fort Lauderdale movers, we love offering our clients exceptional customer service that is unparalleled by other moving companies. Our ultimate goal is customer satisfaction and if you are not satisfied, neither are we. Call us today for a free estimate and quote! Highly recommend Top Notch movers. Professional, experienced. Knew actually what they were doing. Organized. I have very heavy furniture and these guys worked like dogs taking it up three flights of stairs in extreme heat. Did not even a break for lunch. Extremely courteous.